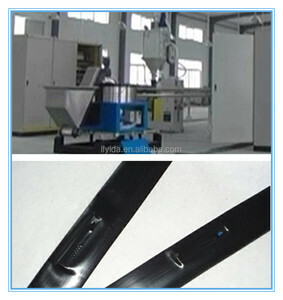 PRODUCT DE SCRIBTION Main technical parameter Application: This production line is used to make flat emitter drip irrigation tape. The inline flat emitter type drip irrigation tape is widely used in the field of farmland (cotton, etc. The emitter adopts unique design of circular arc flow path and has the characteristics of complete turbulent fluid, automatic washing and strong antiblocking. Labyrinth Type Drip Irrigation Belt Production Line Agricultural machine Main technical parameter Model SJDY-60 Specification of final product &phi; 12-20mm Production speed 65 m/min Main driving power 18.5kw Max. extruding capacity 55kg/h Heating power 22kw Filter changing way durable filter (patent) Driving power of shaping wheel 0.75kw Driving power of tractor 0.75kw Winding motor torque motor 6N. 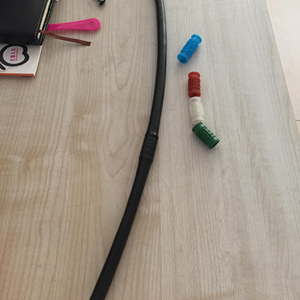 FINAL PRODUCT Three Drip Irrigation Tape Produced By The Labyrinth Type Drip Irrigation Belt Production Line Agricultural machine : Tape Diameter :12mm 16mm 20mm Tape Thickness:0.18-0.22mm Flow rate :1-5L/H Distance :100mm 200mm 300mm. It advoids a waste condition when one tube is adjusted and the other one is affected. 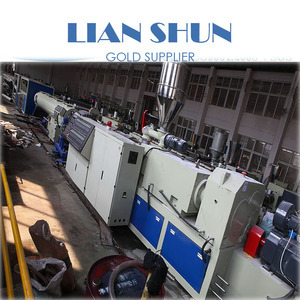 Whatsapp: 86-13721057619 double pipe making machine/pipe extrusion line/pipe machine with low price Detail: . If you want more information, please feel free to contact us! The company covers an area of 30 acres, and workshop buildings cover about 30000 square meters, which is located between in Beijing and Tianjin, it is very convenient for transporting and visiting. 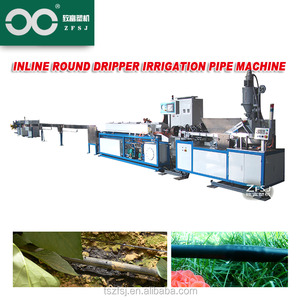 Our company absorbed international advanced technology, experiences in sales, concentrate on the research and development of production line for inner continuous drip irrigation tape with double strip lines, and manufacture for the drip irrigation products. In 2011, our company successfully developed: production line for inner continuous drip tape with double strip lines, which is an important sign that we have reached the international advanced level. Shandong Quanrun Plastic Co., Ltd. It is located in China's Shandong Laiwu ,Conveniently located here, you can take the plane and high-speed rail to reach Jinan station. until today we have many customers in the world,and keep a long-term business relation with them,and I am sure we will have good and happy cooperation. Enterprise customer until today we have many customers in the world,and keep a long-term business relation with them. The products are widely used in the installation, and have become the first choice for the city gas transport pipe and the outdoor water supply pipe. 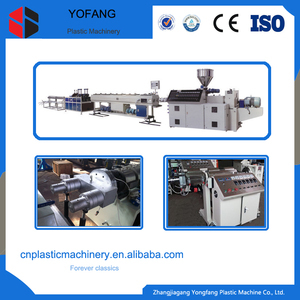 Production line with high efficiency single screw extruder and through the spiral or basket type mould by multi - Crawler traction machine vacuum sizing cooling and. Production line using PLC control system, man-machine dialogue interface, simple operation, stand-alone adjustment, the full board linkage, automatic fault alarm, production and reliable. Qingdao Deerma Plastic Machinery Co., Ltd. If clients want to visit our company, we will offer all they need for convenience. Service personnel have to arrive at customer&rsquo;s locale in time when we provide service for client again. We have SIX this production lines in our showroom for other customer , welcome to visit our factory . 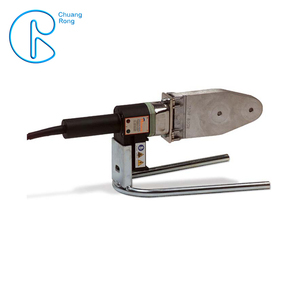 it processes the adbantages such as hith elasticizing capacity, low energy. 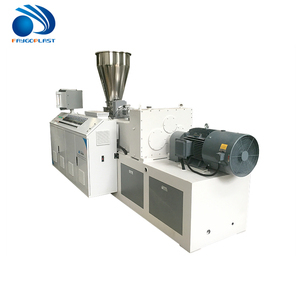 long life, its the best selecting machine for produce all kinds of plastic profiles product. * Engineers available to service machinery overseas. Alibaba.com offers 4,908 agriculture plastic pipe machine products. About 41% of these are plastic extruders, 1% are pipe making machinery. A wide variety of agriculture plastic pipe machine options are available to you, such as pipe, energy supply pipe, and drain pipe. 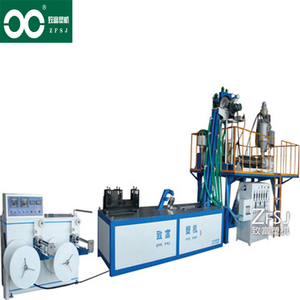 You can also choose from pipe production line, pipe molding machine. As well as from single-screw, double-screw. 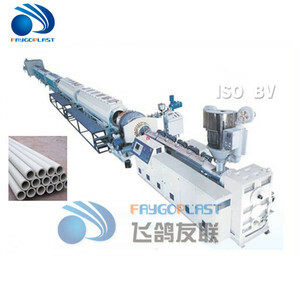 And whether agriculture plastic pipe machine is pvc, concrete, or iron. There are 4,912 agriculture plastic pipe machine suppliers, mainly located in Asia. 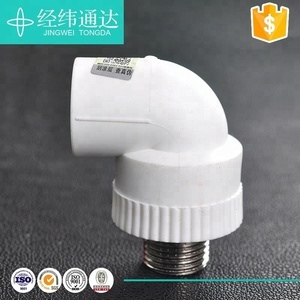 The top supplying countries are China (Mainland), India, and Vietnam, which supply 99%, 1%, and 1% of agriculture plastic pipe machine respectively. Agriculture plastic pipe machine products are most popular in Southeast Asia, Mid East, and Domestic Market. You can ensure product safety by selecting from certified suppliers, including 1,718 with ISO9001, 370 with Other, and 95 with ISO14001 certification.